Simple and smart, ‘Hue Lux’ bulbs produce beautiful warm white light that can be brightened and dimmed to suit any occasion. Philips Hue gives you total control over your lights via your smart phone or tablet, even when you’re away from home. The Hue bulbs can easily be screwed into your existing light fittings. 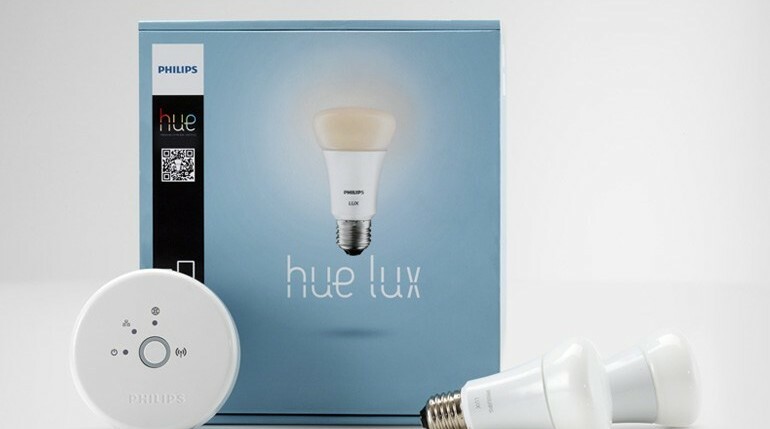 And they work with the hue app, your alerts, timers and geofencing. You can even use hue lux with IFTTT recipes. Or simply dim it to suit your mood or activity. Set it up in your bathroom, in your kitchen in the hallway or in your living room. Anywhere you need high quality white light. Philips Hue Lux is just one of the new Friends of the Hue Family, after for example the Hue LightStrips and a full range of different Hue Bulbs.